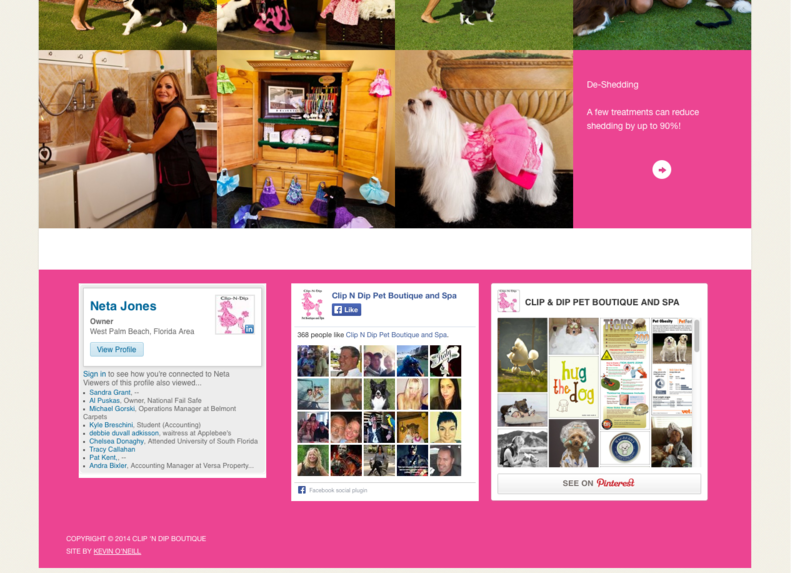 Neta Jones is the only certified Master Groomer in the North Palm Beach, FL area. 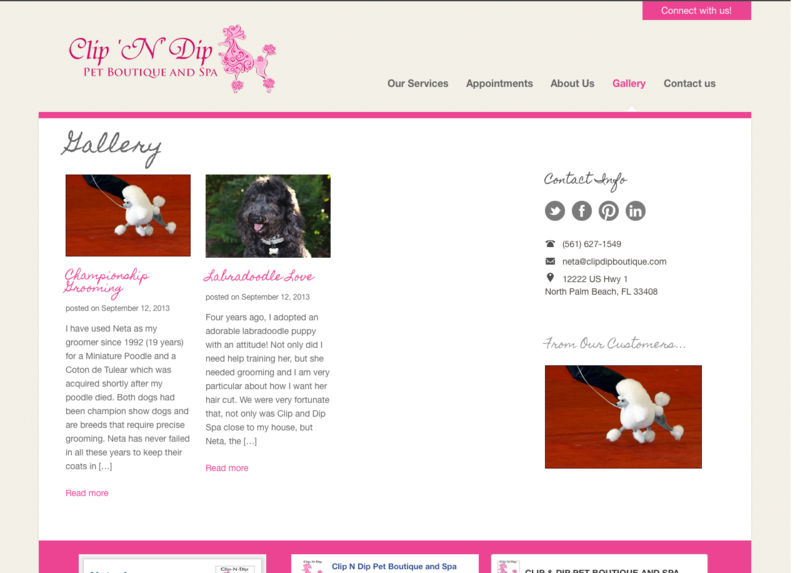 She has owned and operated Clip ‘N Dip for 20 years and has showed dogs for 19 years. She was trained under one of the top groomers in the country and is certified in First Aid and CPR for dogs and cats. 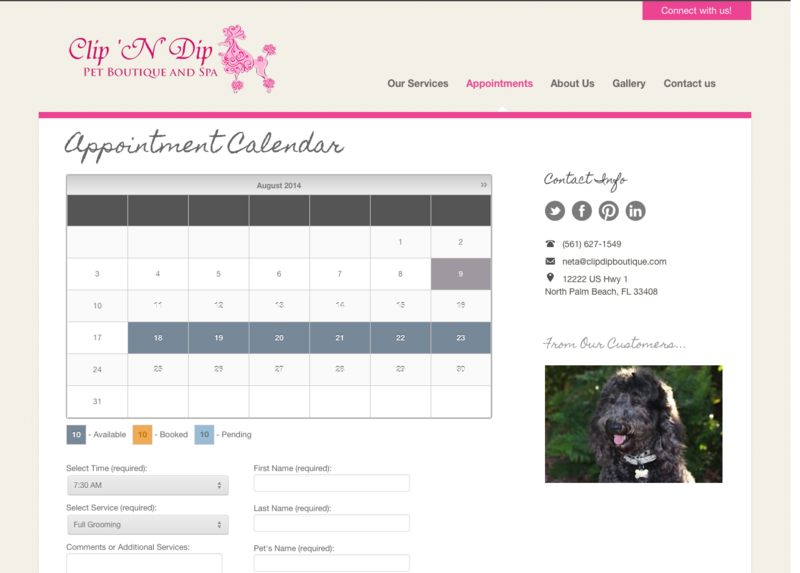 When she moved Clip ‘N Dip to a brand new location, she needed a website that better reflected her experience, present her services and make it easier to book appointments. In short, her site needed a complete make-over. The new http://clipdipboutique.com has all the bells and whistles. 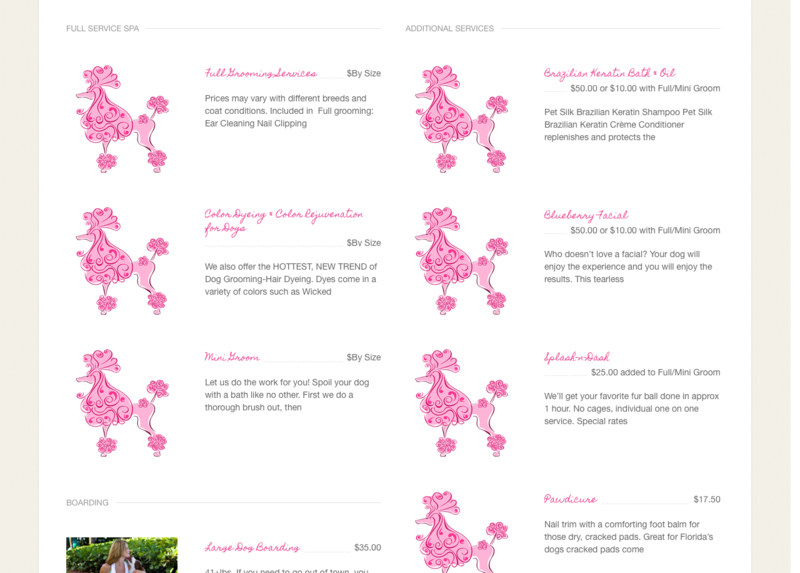 A home page slider, Social Media, jQuery rollovers, Google web Fonts and an online booking calendar. It truly represents the care and quality Clip ‘N Dip offers.